This entry was posted in bath and body, bath products, cosmetic ingredients, cosmetic recipe, Natures Garden and tagged Aromatherapy Mood Enhance Fragrance Oil, bath and body recipes, bath melt recipe, bath melts, bath melts recipe, bath supplies, bubble bath melts, Calendula Bath Melts Recipe, clamshell bath melts recipe, Coco Mango Fragrance Oil, cosmetic oil, cosmetic oils, cosmetic supplies, cosmetics recipes, fragrance oils, Gourmet Chocolate Bath Melts Recipe, Gourmet Dark Chocolate Fragrance Oil, homemade bath melts, Kismet Fragrance Oil, Lemon Lavender Bath Melts Recipe, Lemon Lavender Type Fragrance Oil, Mood Enhance Bath Melts Recipe, NG Rose & Violet Type Fragrance Oil, products wholesale supplies, pumpkin pie spice blend powder, pumpkin seed powder, Rose Petal Bath Melts Recipe, scented bath melts, scented oil, Tranquil Oasis Fragrance Oil, Tranquility Bath Melts Recipe, what are bath melts, White Chocolate Fragrance oil, wholesale bath supplies, wholesale cosmetic supplies, wholesale herbs, wholesale supplies on October 15, 2018 by Deborah Ward. Bath melts are fantastic bath and body creations that you can use to nourish your skin. The skin loving oils and butters in this cosmetic recipe will moisturize and provide nutrients to your skin. So, you can use these 10 bath melt recipes to soak in all the wonderful benefits of these ingredients as you relax in the tub. Not only will this experience help you reduce your stress, but using bath melts is very simple, too! All you need to do is run a warm bath, add a bath melt to the water, and kick back to relax. Once the bath recipe melts, all the oils and butters will be ready or your to kick back and soak. Also, make sure that you are careful getting in and out of the tub, as the cosmetic oils and butters can make the bottom of your tub a bit slippery. If you want to try out these fantastic bath and body recipes, then check these cosmetic recipes from Natures Garden. You can find all of these cosmetic recipes in the blog below as well as the links to their step by step directions. So, you can create any of these marvelous bath recipes to use and enjoy at home! First, you can try out the lovely pumpkin bath melt recipe! These cute cosmetic recipes are perfect for the fall season. First, these bath melts are shaped like cute pumpkins, which is a fun for decorating around Halloween and Thanksgiving. Also, this bath recipe uses beautiful mica dust to provide a pretty shimmer. Not only are these bath recipes super cute, but these bath melts have some fantastic cosmetic ingredients. These bath recipes are full of skin nourishing cosmetic ingredients that will nourish your skin and leave your body rejuvenated. Furthermore, these adorable pumpkin bath melt recipes include both the Pumpkin Pie Spice Blend Powder and the Pumpkin Seed Powder. These cosmetic herbs provide your skin with various nutrients that will leave your skin feeling soft and moisturized. Plus, this cosmetic recipe uses the sweet scent of our Caramel Apple Fragrance Oil. This fragrance oil has the aroma of a juicy apple that was dipped into warm, buttery caramel. So, this is a fantastic bath recipe that you can use to care for your skin and celebrate this lovely season! Also, you can try out the Tranquility Bath Melts Recipe. This peaceful recipe contains skin loving ingredients that will open the door for a stress free bath experience. First, this bath melt recipe contains butters and oils will nourish your skin as your soak in the tub. Further, this fantastic bath and body recipe includes whole chamomile flowers that are great for both relaxing the body and softening the skin. Furthermore, this cosmetic recipe is scented with the calming scent of Tranquil Oasis Fragrance Oil. This fragrance has a refreshing scent of cool citrus notes, French jasmine petal aroma, salty sea notes, and a base of exotic musk and bamboo. So, you can relax in the bath as your skin soaks in the nourishment of these cosmetic ingredients. Another great bath melt recipe that you can create with these cosmetic ingredients is the Rose Violet Bath Melts Recipe. First, this lovely bath recipe is scented with the aroma of our NG Rose & Violet Type Fragrance Oil. The aroma of this fragrance has the clean scent of wild rose, sweet violet, orange, musk, and a touch of coconut. Further, the lovely pink rose petals enhance the mood through the delicate scent and lovely, romantic appearance. Plus, these pretty bath melts are shaped like hearts and are topped with these lovely rose petals. Not only is this recipe pretty with a wonderful aroma, but this cosmetic recipe includes butters that will nourish the skin. Together these the cosmetic ingredients in this recipe will allow you to pamper yourself from head to toe! If you enjoy the previous bath melt recipe, then you may want to try out the Rose Petal Bath Melts Recipe, too. Many of the cosmetic ingredients in this recipe will nourish and pamper the skin. Also, this bath and body recipe is naturally colored with parsley leaf powder. Plus, this cosmetic herb is full of vitamins and minerals that can inhibit the tumors and promote healthy skin. Further, this bath melt recipe is topped with the lovely rose petals, which are beautiful and have a lovely aroma. Plus, this cosmetic recipe is scented with the sweet aroma of Coco Mango Fragrance Oil, which has fruity notes on a rich base of vanilla, toasted coconut, and a hint of soft musk. 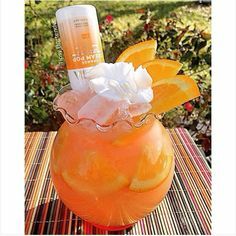 So, this blend of cosmetic ingredients is perfect for unwinding and enjoying your night after a long day. Next, we have a bath and body recipe that is irresistible to chocolate lovers! Of course, our Gourmet Chocolate Bath Melts Recipe uses a candy mold to create bath melts to create sweet little chocolates. Further, this delicious bath recipe has a true, scrumptious scent of Gourmet Dark Chocolate Fragrance Oil. Plus, this delicious fragrance was enhanced by the true chocolate aroma of the cocoa powder herb. Not only does this cosmetic recipe smell like chocolate, but this lovely bath melt recipe has cosmetic oils and butters that will care for the skin. So, these cosmetic ingredients will nourish, moisturize, and soften the skin. This way you can eat some rich chocolate, soak in a chocolate scented bath, and unwind from the stresses of everyday life. Of course, these cosmetic recipes a perfect for relaxing in the tub and nourishing your skin. If you want a bath melt recipe that will completely pamper your body from head to toe, then you may want to try out our Mood Enhance Bath Melts Recipe. Firstly, we have the luscious cosmetic oils and butters. These lovely ingredients include coconut oil and cocoa butter, which will nourish and moisturize the skin. Not only can you enjoy the benefits of the cosmetics oils and butters, but can find cosmetic benefits from the lovely red rose bud petals. These lovely herbs promote relaxation and have anti inflammatory properties. The relaxation properties are enhanced by the calming scent of the Aromatherapy Mood Enhance Fragrance Oil. This scented oil will provide a positive mood with the scent of uplifting floral notes, citrus aromas, floral middle notes of rose and lavender, earthy patchouli, and cedarwood. These wonderful cosmetic ingredients are perfect for enhancing the mood and unwinding after a long day. Another great bath and body recipe that you can make for your own bathtub is the Calendula Bath Melts Recipe. Although this bath melt recipe uses flower petals, this bath product uses Calendula flower petals. This fantastic herb can be useful for reducing inflammation and acne. Plus these flower petals have a refreshing floral scent. Not only do these flowers smell lovely, but our fragrance oil has a nice scent as well. So, you will love the beautiful, complex aroma of our Asian Pear and Lily Fragrance Oil. This fragrance has top notes of pear, apple, and leafy greenery followed by lovely floral middle notes with a base of pear nectar, musk, and peony flowers. This blend of lovely floral notes and skin softening cosmetic ingredients creates a bath soak that will pamper your senses. Additionally, you can create the lovely Clamshell Bath Melts Recipe. This bath melt recipe is another great bath and body recipe that includes flower petals. In this cosmetic recipe, we have lovely lavender flowers, which will provide a calming aroma as well as beneficial properties for your skin. Plus, this bath melt recipe blends the scent of fresh lavender along with the fresh aroma of Kismet Fragrance Oil. This enlightening fragrance oil has notes of sweet orange and lavender. These notes are followed by woodsy notes of patchouli, incense, and amber. So, this scented oil will help you relax and recharge. At the same time, the luscious oils and butters of this recipe will nourish your skin. If you like sweet white chocolate, then the scrumptious White Chocolate Bath Melts Recipe would be perfect for you. First of all, you can use the mango butter in this cosmetic recipe to nourish your skin. Further, these bath melts use real white chocolate. 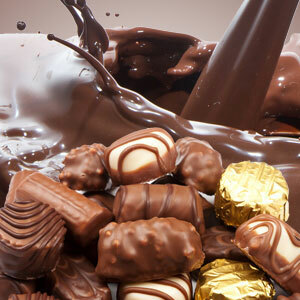 Some people have found that chocolate is useful for nourishing the skin. These properties are thought to help reduce signs of aging and rejuvenate your skin. Not only does this cosmetic bath melt recipe use real white chocolate wafers, but this bath recipe uses our White Chocolate Fragrance Oil. So, these simple bath melts will have an aroma of creamy cocoa butter, sweet marshmallow, meringue, white chocolate, and rich vanilla beans. So, you can enjoy the scrumptious scent of this sweet scented oil and nourishing skin benefits of the cosmetic ingredients of this bath and body recipe. Finally, we have our delightful Lemon Lavender Bath Melts Recipe that you can create for your own use. First, this bath and body recipe uses the stainless tart floater candle mold to create a pretty flower shape for you bath melts. Then, these bath melts are topped with whole lavender flowers. 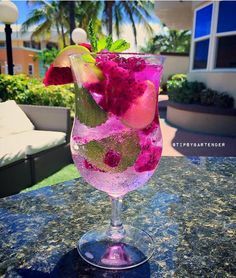 Not only these whole flower blossoms add to the beauty of this recipe as well as the numerous skin benefits. Speaking of this recipe’s skin benefits, this wonderful cosmetic recipe includes both cosmetic oils and wholesale herbs that will pamper the skin. Of course, the various oils and butters in this skin care recipe are perfect for nourishing the body. Also, this bath melt recipe includes cosmetic herbs that will promote healthy skin, like lemon peel powder and whole lavender flowers. Further, these wholesale herbs enhance the lovely aroma of our Lemon Lavender Type Fragrance Oil. This bright, refreshing scented oil has notes of sweet orange and lemon. These scents are followed by notes of citrus, eucalyptus, and classic lavender. Lastly, this aroma has a base of orange blossoms with woodsy notes. So, this fantastic bath melt recipe is perfect for nourishing the skin and pampering your body as you enjoy the bath. If you enjoy the aroma of this lemon lavender bath and body cosmetic recipe, then you may be interested in trying out a scrumptious dessert that has the same flavor. Say goodbye to boring, plain lemon bars, because this tasty recipe takes it up a notch. This delicious blend of refreshing lavender and fresh lemon is perfect for making these unique and delicious lemon bars. You will love this tasty twist on this tangy, sweet dessert recipe! So, check out the yummy recipe for Lavender Lemon Bars from Sugar Hero to learn exactly how you can create this scrumptious dessert recipe. We hope that you enjoy these fun bath and body recipes. If you have any questions about any of our cosmetic recipes, then you can feel free to reach out to us for answers. There are a few different ways that you can reach out to ask us your questions. First, you can call us on our HUG line. We are available to answer any of your crafting questions. Also, you can chat with us in the Natures Garden store to learn more about these recipes. Lastly, you can reach out to us on our social media pages. You can find us on our Facebook page. Also, you can use the handle @ngscents to find us on Twitter and Instagram. Not only can you ask your questions on social media, but you can share your opinions and cosmetic recipes. This entry was posted in bath and body, bath products, Natures Garden, Uncategorized and tagged apricot kernel oil, bath and beauty crafts, bath and beauty gift basket supplies, bath and beauty packaging supplies, bath and beauty recipes, bath and beauty suppliers, bath and beauty supplies, bath and beauty supplies wholesale, bath and body, bath and body lotion recipes, bath and body product supplies, bath and body recipes, bath and body recipes homemade, bath and body scented recipes, bath and body supplies, bath and body supplies bulk, bath melt mango, bath melt recipe mango butter, bath melts, bath melts recipe, bath melts tutorial, bath melts with beeswax, bath products, beauty recipes, bulk craft supplies, chocolate scents, discount craft supplies, diy bath melts, handmade bath and body recipes, homemade bath melts, how to add chocolate to bath melts, how to make bath melts, how to use bath melts, make your own bath products store, mango butter, natural bath and body recipes, natures garden, where to buy beeswax, white chocolate bath melts, White Chocolate Fragrance oil, white chocolate fragrance oils, white chocolate wafers, wholesale cosmetic fragrances, wholesale craft suppliers, wholesale craft supplies, wholesale fragrance oils, wholesale scenting supplies on January 4, 2017 by Deborah Ward. Try out this Natures Garden White Chocolate Bath Melts Recipe and experience some well deserved tranquility and stress relief. I’d say that after the holiday season we’re all looking for a little bit of time to relax and unwind. No matter how wonderful the season has been, that much excitement is enough to ware out even the most energetic people. It’s time to start the New Year off right with a little time to yourself to shed some of last years stress. So, run yourself a nice warm bath and let these white chocolate scented bath melts delight your sense of smell with the sweet scent of white chocolate as the oils nourish your skin from head to toe. Because what’s a better way to relax than a bath? Just sit back, relax, and feel your stress slowly melt away. Before you begin creating your bath melts you should make sure that the area you will be working in is clean. Also, make sure you have an available stove within your working area that is clean. Additionally, make sure that your equipment, such as pots, a bowl, and a brownie bites mold, have been sanitized well. If you don’t clean your mold before you being the recipe, your mixture may cool before you can get a chance to pour. Further, you may want to start thinking about how you are going to package your finished bath melts. The recipe will create a total of twelve brownie bite sized bath melts, so be prepared with enough packaging. Initially, you are going to want to weigh your mango butter, apricot kernel oil, beeswax, and white chocolate wafers into a medium sized bowl. Set the units of your scale to grams, set your bowl on the scale, and tare the weight of your bowl. Now, you can measure the 224 grams of mango butter. You will want to tare after adding this butter and continue to tare between your future additions. Weigh out 15 grams of Apricot Kernel Oil, 13 grams Beeswax White Pastilles, and five of your white chocolate wafers. We be melting all of the ingredients on the stove top. Next, we are going to use your two differently sized pots to create a double boiler. The double boiling method of melting is useful for preventing your ingredients in the mixture from scorching, which could ruin the recipe. So, lets begin! Initially, we will go over how to create and correctly use a double boiler to melt the ingredients. First, fill your larger pot with some water. I’d suggest filling the pot with about a fourth of the way up with water. This amount can be adjusted after you can see how the water level rises with the addition of the smaller pot. Now, you can take the medium sized pot and place that into the water of the larger pot. If your water level looks like it is high enough that the water could boil over into the smaller pot, then pour out some water. On the other hand, if your smaller pot barely touches the water level, then you may want to increase your water level. Further, if you notice later on that the water is getting too close to the rim of the medium sized pot, you can remove the pot and readjust the water levels. After you have adjusted the water, you can now take your previously measured ingredients and add them to the medium pot. Finally, you will boil the water until your mixture is liquid. You must watch carefully to make sure the water in the larger pot doesn’t boil over into your oils in the smaller pot as it could ruin your bath melt recipe. First, I would recommend transferring the mixture out of the pot. The pot is likely too hot to place on your scale and may keep your mixture too hot for you to add fragrance oil as well. 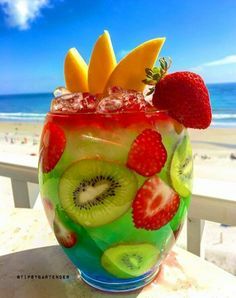 Therefore, I would recommend that you take your newly melted ingredients and return the mixture to the bowl that you weighed these ingredients prior to melting. Afterward, we can add the fragrance oil to the mixture. Next, we are going to add 4 grams of our White Chocolate Fragrance Oil to the mix of ingredients . However, the oils may be too hot and could burn off the scent. So, use your own discretion to determine the right time to add the fragrance oil. Once the fragrance oil is included, we’ll mix thoroughly yet quickly. Now, get ready to pour the mixture into our brownie bites mold. Finally, we are going to pour the mixture into the 24 – brownie bites mold. You should be able to create twelve full bath melt squares with this recipes. Once all of the batter has been poured give the melts some time to set up undisturbed. Later, you can move the mold into the freezer. However, you need to make sure the bath melts are set up enough to move. If you are deciding whether to move the mold and aren’t sure if it is time, I’d recommend waiting a bit longer to prevent a potential disaster. Waiting longer before you move the bath melts to the freezer can’t hurt the recipe, but not waiting long enough could make a mess of your bath and body creation. Once you remove the brownie bites mold from your freezer you can remove your bath melts from the mold. Finally, enjoy your scrumptious white chocolate bath melts! Before packaging you should be aware that the bath melts can begin to melt in your hand. 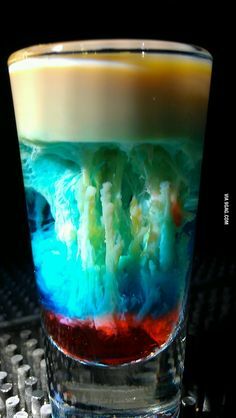 Be sure not to handle the melts too much. Additionally, the place you intend to store your bath melts shouldn’t exceed room temperature as the bath melts will likely melt this way as well. While melting doesn’t necessarily ruin the product, it will make transferring the bath melt to the bath tub more difficult. While there is no one specific way to package your bath melts, I would recommend that you use something that would require a minimal amount of touching and/or holding your finished bath melts. However, as long as your bath melts are packaged well enough to avoid getting dirty and haven’t melted entirely in your hand, then your product should be fine. The white chocolate bath melts that I had created were saved in a zip lock bag and stored at room temperature for the time being, but feel free to use any method of storage that you have available. Once you have a nice, warm bath running, place just one of your bath melts under the running water of your tub. Including the bath melt while your bath is filling up will allow the oils to disperse more evenly throughout the bath water. The bath melts may make your tub slippery, you should be safe and use caution while getting in and out of the tub. Adding more than a single bath melt to your tub could create a very slippery situation. While it may feel like it couldn’t hurt to use a few more of these little bath melts, remember it is always possible to have too much of a good thing. In this instance, adding multiple bath melts will cause there to be an excess of oils in your bath tub. All of this excess oil from these extra bath melts can sink to the bottom of your tub and have the potential to make your tub very slippery. While you still need to be cautious stepping in and out of the tub with a single bath melt, it is far less slippery than if you were to use more than a single bath melt. You’ll only need a single melt to notice the delicious white chocolate scent and feel a difference in your skin. So, it would be wasteful to use more bath melts than you need at one time. Plus, since you are saving all those extra bath melts, you can take even more baths with these delightful white chocolate bath melts! This entry was posted in bath and body, bath products, candle fragrance oils, candle making supplies, cold process soap, Fragrance Oils, Natures Garden, Natures Garden Fragrance Oils, Soap making supplies, Uncategorized and tagged aroma beads, aromatic combination, baked cookie, bakery delight, bakery fragrances, bakery scents, bath gel, bath melts, bath oils, butter, candle crafters, candle wax tarts, cane sugar, cane sugar cookie arom, cane sugar cookie fragrance, cane sugar cookie scents, caramel, cold process soap testing, cookie aromas, cookie scents, cookies fragrances, cp soap, fragrance manufacturing, fragrance oil, fragrance oils, heliotrope, home scenters, homemade bath and body products, homemade candle crafts, homemade candles, homemade cleaning products, huge hit, incense, ingredients, joy wax, lotions, lovely, Nature Gardens recipe, natures garden, NG original fragrance, nice throw in both hot and cold, perfumes, pillar of bliss wax, potpourri, reed diffusers, room scenting projects, rum, scrubs, soap making, soaps, soft scent, Soy wax, sugar cookies aroma, sugar cookies scent, sweet fragrances, sweet scents, vanilla, vanilla extract, vanilla fragrances, vanilla scents, vanilla sugar, Wow wax on December 17, 2015 by Deborah Ward. Cane Sugar Cookie Fragrance Oil is available at Natures Garden. This vanilla fragrance will allow you to scent your home with the aroma of freshly baked cookies, without the mess to clean up in the kitchen. Cane Sugar cookie scent has been described by our customers as a very pleasant fragrance with a lovely, soft scent. One customer states, “This one really comes alive after it cures a day! Nice throw hot and cold. Unique.” This customer also went on to say that they will be adding this one to their fragrance line. This bakery aroma of sugary sweetness is one fragrance oil that will have your clients coming back for seconds! What Does Cane Sugar Cookie Fragrance Oil Smell Like? This fragrance oil by Natures Garden is just Yummy! The aromatic combination of just the right top notes of cane sugar, butter, and rum; followed by middle notes of caramel and vanilla extract; sitting on a dry base note of vanilla sugar. An NG Original Fragrance! How Do Our Customers Use Cane Sugar Cookie Fragrance Oil? For candle crafters and home scenters, this bakery delight is a huge hit. The maximum usage for homemade candles is 10%. When doing projects like making scented incense the maximum recommended usage is 50%, and for homemade cleaning products the maximum usage is 5%. Our customers have used Cane Sugar Cookie Fragrance Oil in Natures Garden’s Pillar of Bliss Wax to make amazing homemade wax tarts or wax potpourri. Our suggestion for coloring, there is no suggested coloring as it is beautiful the way it is. This fragrance oil performs perfectly in Joy wax, Wow wax, and is nice and strong in soy wax. It is also nice and strong in homemade room scents such as aroma beads, reed diffusers, incense and potpourri. As for the homemade bath and body products, the maximum recommended usage rate for our Cane Sugar Cookie fragrance oil is 5%. Our cold process soap testing results shows that this bakery scent pours perfectly with no ricing, no acceleration, and no separation while maintaining good scent retention. Cane Sugar Cookies Fragrance Oil will discolor to a milk chocolate. The vanillin content is 7% for this fragrance oil. 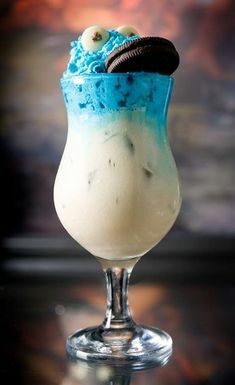 Vanilla White Color stabilizer may help prevent discoloration due to vanilla. However, there are 40 or more ingredients used used when manufacturing fragrance oils that may lead to discoloration of body products. Just like with our candle coloring suggestion, we suggest no color for your homemade bath and body products. This sweet fragrance is amazing in homemade melt and pour soap, bath oils, sugar scrubs, lotions, and more. Nature’s Garden Cane Sugar Cookie aroma will keep them guessing as to whether or not you have delicious sugar cookies right from the oven just waiting to be eaten. To order this vanilla cookie scent, just go to the search bar on Natures Garden web site and type in “cane sugar cookie fragrance oil” and It will take you directly to the page to place order today! This entry was posted in candle making supplies, chocolate bath melts, chocolate fragrance oils, Fragrance Oils, Natures Garden, Natures Garden Fragrance Oils, Soap making supplies and tagged bath and body products, bath melts, candle making supplies, chocolate, chocolate bath melts, chocolate fragrance oils, chocolate fragrances, chocolate scents, Crafts, crafts with chocolate fragrances, dark chocolate, diy, fragrance of dark chocolate, free bath melts recipes, free chocolate recipes, free recipe, gourmet, gourmet chocolate bath melts, gourmet dark chocolate, Gourmet Dark Chocolate Fragrance Oil, gourmet dark chocolate scent, homemade, homemade bath melts, how to make bath melts, how to use chocolate fragrances, natures garden, soap making supplies, what are bath melts on February 24, 2015 by Deborah Ward. Easter is just around the corner! And you know what that means…it’s time for chocolate and chocolate, and oh did I mention chocolate? It’s time to stock up on everything chocolate for all the kiddos out there! While they’re sure to go crazy with chocolatey goodness, our Gourmet Dark Chocolate scent is the perfect chocolate scent for all you grown-ups out there! This fragrance will fill your home with the delicious aroma of dark chocolate! It’s the perfect way to get your chocolate fix without having to worry about the calories! What Does Gourmet Dark Chocolate Smell Like? Gourmet Dark Chocolate by Nature’s Garden is the slightly bitter, rich aroma of yummy gourmet dark chocolate! How Do Our Customers Use Gourmet Dark Chocolate Fragrance Oil? Our Gourmet Dark Chocolate scent is the perfect fragrance to have wafting the smell of delicious dark chocolate all through your home. 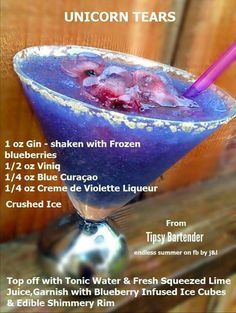 It is sure to make yours and your family’s taste buds go insane! For all the candle makers out there, this scent is absolutely perfect for you! It works perfectly in joy wax and wow wax, as well as performing nice and strong in soy wax! If you’re into making your own potpourri and incense recipes, our Gourmet Dark Chocolate scent has a maximum usage rate of 50%! Easily fill your home with this yummy scent by using to make some nice and strong homemade aroma beads! For bath and body products, our Gourmet Dark Chocolate scent has a maximum usage rate of 5%. Some common bath and body products that can include this amazing fragrance are perfumes, soaps, bath gels, bath oils, and lotions. This fragrance does have a vanillin content of 2%, so just be careful when using it in your products. It may tend to discolor your homemade bath and body products and soaps. Just make sure to test is thoroughly before using this scent in any of your finished products. For all the cold process makers out there, our Gourmet Dark Chocolate scent is just what you never knew you needed! Our cold process results are: there is no acceleration, as well as no ricing and no separation! This fragrance has a perfect pour, however it does discolor products to a milk chocolate color. When used in cold process soaps, this fragrance has the perfect chocolate scent! Our Gourmet Dark Chocolate scent is the perfect chocolate fix you’ve always needed! With this scent flowing your home, all of your guests are sure to think they have just stepped into their own personal chocolate factory! But hold on, because this fragrance just keeps getting better and better! We offer many wonderful free classes and recipes here at Nature’s Garden, and our Gourmet Chocolate Bath Melts are actually made with our delicious Gourmet Dark Chocolate fragrance! They’re the perfect way to make your relaxing bath time smell absolutely yummy! How much better can this fragrance get? Enjoy this amazing fragrance! Please don’t hesitate to contact us here at Nature’s Garden with any thoughts, concerns, or questions you may have and watch out for more Enlightened by Layla! This entry was posted in bath and body, candle making supplies, Fragrance Oils, fruity scents, Natures Garden, Soap making supplies and tagged 2015 fragrance trends, bath and body, bath melts, can i use coco mango scent in soap, candle making supplies, chocolate mango scents, coco mango, coco mango fragrance, coconut fragrance, Crafts, diy, free bath melt recipes, free recipe, fruity coconut scent, fruity scents, fruity soaps, homemade bath melts, homemade cosmetics scents, how can i make bath melts, how can i start making my own bath and body product, how can i use coco mango fragrance, how i can smell like mango, how to make your own bath melts, i want my house to smell like mangos, mango fragrances, natures garden, natures garden fragrances, recipes with rose petals, rose petal bath melts, soap making supplies, what are bath melts, wholesale, wholesale fragrance oils, wholesale products on January 8, 2015 by Deborah Ward. Hi everybody! I hope this finds you all having an amazing day! What are your favorite fragrances? Maybe it’s something fruity, or something chocolatey…or even something unique and different like our Alien fragrance perhaps? Well, do you like to go out of your comfort zone and try different fragrances for different projects? Our Coco Mango scent is the perfect fragrance to do just that! This scent is just the right scent to bring a spin of traditional and touch of something different to all of your new projects and creations! This is one fragrance you’ll want to get your hands on as soon as possible! What Does Coco Mango Smell Like? Coco Mango by Nature’s Garden is a complex fragrance beginning with fresh fruity notes of elderberries, mango, papaya, and yummy fresh strawberries. It is completed with just a hint of a musky feel, toasted coconut and the smell of delicious rich vanilla. We have taken this highly requested fragrance and made even better than ever! Coco Mango is actually a Nature’s Garden original fragrance! How Do Our Customers Use Coco Mango? Coco Mango scent is the perfect combination of fruity deliciousness. It is just the right fragrance to use to entice all of your family and friends with and leave them wanting more and more! For all the candle makers out there, this fragrance is just right for you! It performs nice and strong in soy wax, while also performing perfectly in wow wax and joy wax! If you’re into making your own potpourri and incense recipes, make sure to use Coco Mango! It has a maximum usage rate of 50%! Fill your house with this fantastic scent by using it in some nice and strong homemade aroma beads! 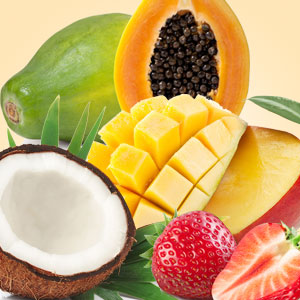 For bath and body products, Coco Mango has a maximum usage rate of 5%. Common bath and body products that you can use this fragrance in are perfumes, bath oils, soaps, lotions, and bath gels. This fragrance does also have a vanillin content of 7.0%. If there is a vanillin content in a fragrance, it means that the fragrance can tend to discolor any of your soaps or other bath and body products. To reduce the amount of oxidation that causes discoloration, you may want to add some of our vanilla white stabilizer. Just make sure to test it thoroughly before using it for any finished and final products. For all of our cold process soapers out there, make sure to try out this amazing fragrance! Our CP results are: there is no separation or ricing, as well as no acceleration and this fragrance has a perfect pour! The scent is of course, delicious! However, after curing, it does discolor to a chocolate brown color. I know you’re anxious to get your hands on this wonderful fragrance as soon as possible, but just hold on a second because there’s more! We offer so many great free classes and recipes, and our Rose Petals Bath Melts recipe is actually made with our Coco Mango fragrance! 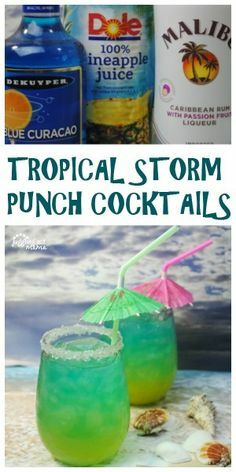 This is one recipe you just can’t pass up! Enjoy these wonderful products and keep watching for more Enlightened by Layla! This entry was posted in bath and body, bath products, herb, herbs, Natures Garden, Soap making supplies and tagged bath and body products, bath melt recipe, bath melt recipes, bath melts, calendula, calendula bath melts, calendula flowers, calendula soap, calendula uses, cold process soap, crafts as a hobby, free recipe, herbs, herbs for cosmetics, natural ingredients, natural ingredients in cosmetics, natures garden on October 7, 2014 by Deborah Ward. Hello everybody! Are you getting ready for Halloween? Have your own little ghosts and goblins chosen their costumes yet? I can’t believe Halloween is only weeks away! Well, for all you crafters out there, are you looking for a good natural herb to include in your soaps or bath melts? Have you tried calendula? Calendula is a great herb that is more commonly known as the marigold flower. It can be used in many different industries such as cosmetics and soaping. So get ready, calendula is pretty awesome and would be a great addition to future projects! Calendula is a very well known therapeutic herb. The word is a modern Latin diminutive of calendae which means “little calendar” or “little clock.” The flower goes along with its name because it usually blooms every month or every full moon. Another name for it is “Mary’s Gold,” referring to the Virgin Mary. Some Catholic ceremonies use the flower as a way to honor her. The flower is typically bright yellow, orange or gold. In existence, there are over 100 varieties of calendula. Egyptians considered it to have rejuvenating powers. It possesses anti-viral and anti-inflammatory properties and is a big help with keeping skin smooth and healthy. Calendula is used in many industries such as bath and body products. It is great for people who suffer from varicose veins. After applying calendula to the affected areas for a few weeks, the veins have been known to shrink down. It also helps with dermatitis and acne problems. It also helps to heal minor cuts and bruising as well as some bug bites and stings and even burns. 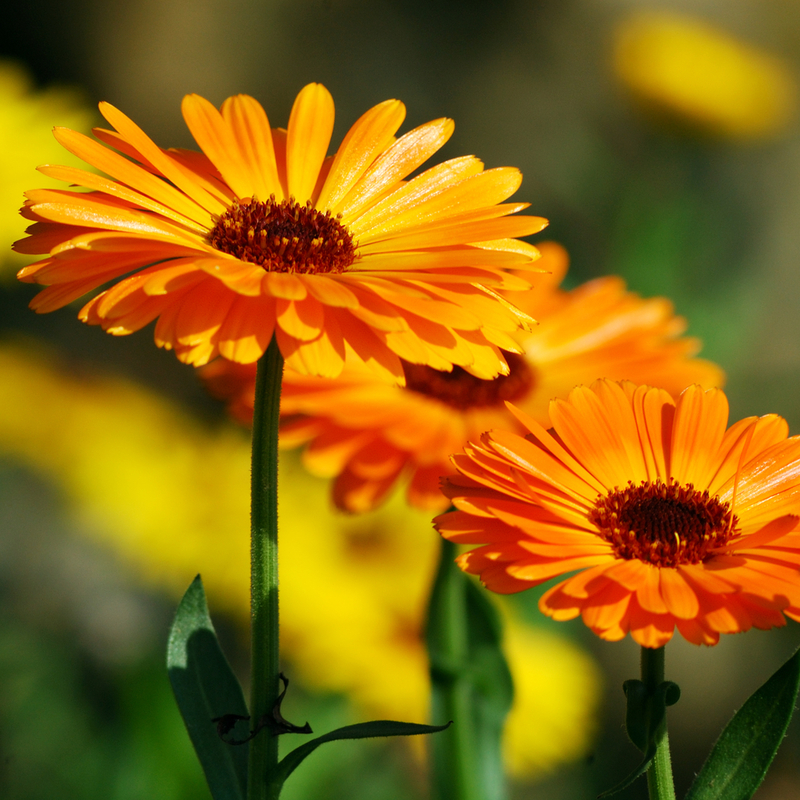 Here’s a cool use, if you use calendula as a hair product, it helps to improve your hair’s shine and makes it softer. It also will bring out blonde or brunette highlights! This herb is a great ingredient for cold process soap. In fact, we have a recipe here at Nature’s Garden for Calendula Sunshine Cold Process Soap. Not only can it be used in soaps, calendula can also be used a decorative element for soaps. We also have a great recipe for Calendula Bath Melts. We also sell Calendula Flowers Powder and even whole Calendula Flowers. 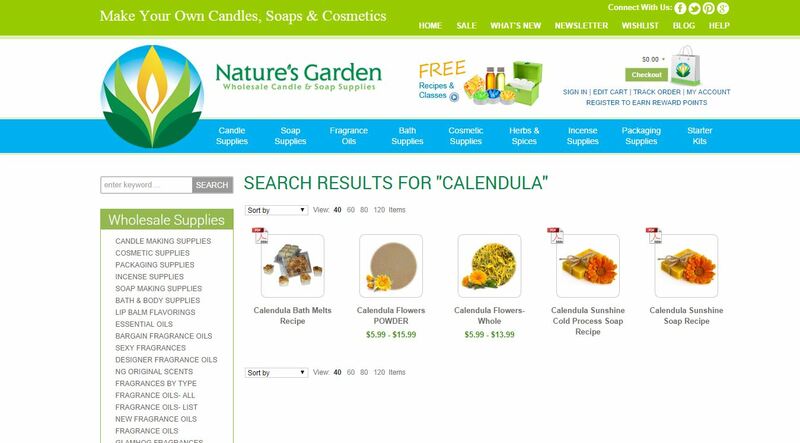 On our homepage, if you just type Calendula into our search bar it will take you right to a page titled “Search Results for Calendula.” All of our recipes and products with calendula are right there available for purchase. Did you know that in the 18th and 19th centuries calendula was used to color cheese? Neither did I! Neat though, right? However, here at Nature’s Garden we only sell calendula for external purposes only, not for food. And please do not take my blog as medical advice! Always make sure to ask your doctor before using anything as a substitute for medical treatment! Have I convinced you that calendula is just pure awesome! There are so many different uses for it, even in food! Did you know that marigold leaves are completely edible? Some people use them on a salad as garnish to spruce up the color! It was even once used as a dye for fabrics! 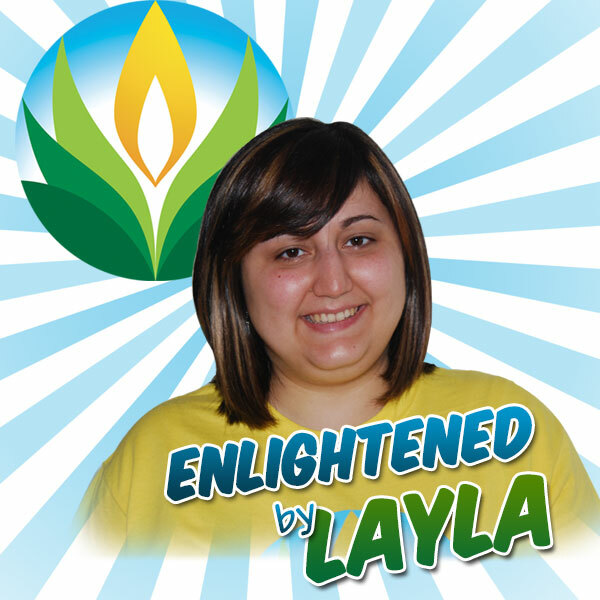 Now come on, this product is purely awesome, make sure to add it to your future projects and watch out for more Enlightened by Layla! This entry was posted in bath melt recipe, bath melts, chocolate bath melts, natural bath melts, natural beauty, Natures Garden and tagged bath melt recipe, bath melt with chocolate, bath melts, buy ingredients for bath melts, chocolate bath melt recipe, chocolate fragrance, chocolate scent, homemade bath melts, how to make bath melts, make your own bath melts, natural bath melts, organic bath melts, recipe for bath melts, what is a bath melt on August 14, 2014 by Deborah Ward. Chocolate; it melts in your mouth. Now it can melt in your bath! Let the rich smell of gourmet chocolate consume your bathroom as the natural oils leave a silky smooth softness. A truly “guilt free” experience. These organic chocolate bath melts are made with luxurious shea butter, mango butter, cocoa butter, and real organic chocolate. So be your own chocolatier and use this fantastic recipe today! 1. Weigh out all of the beeswax and butters. 2. Using a double boiler, start by melting the butters and beeswax. 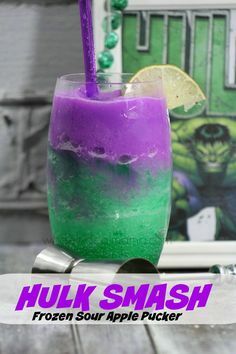 Melt the ingredients completely. Do not to get your oils too hot, or you can ruin them. 3. Once melted, add your cocoa powder and mix thoroughly. 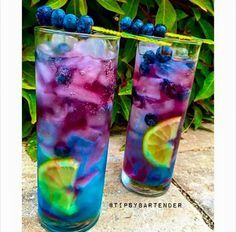 You want the herb to be completely incorporated throughout the entire melted mixture. This will ensure that the color is evenly mixed throughout your finish product. 4. Next, add your fragrance oil and stir. 5. Now, pour mixture into your molds. 6. Once they have setup enough to move, place it in the freezer for 30 mins. 7. Remove the melts from the mold. 8. Place one Gourmet Chocolate Melt into the tub under warm running water. You will only need one bath melt. Caution: Your bath tub might be slippery from all of the butters once the bath melt has melted. Please note: These bath melts will begin to melt just from physical contact with the skin. It is not advised to ship these during the hotter temperature months. 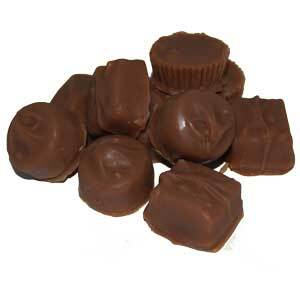 These chocolate bath melts also make wonderful gifts for your friends and family. So, share your homemade chocolate bath melts with the people you love. If you would like to view other fabulous recipes formulated by the Creative Team at Natures Garden, please visit our Free Recipes & Classes page of our website. All of our recipes have been created and tested by our staff so that you can create awesome products right from the start. Plus, all of our products are priced at wholesale; saving you money on every purchase.